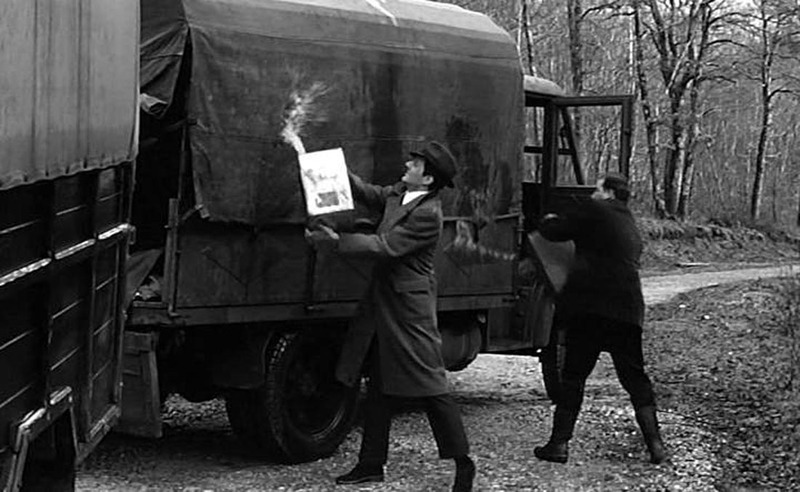 First it seemed a period picture, though a very sharp one, but the imcdb, (the vehicle identification of the IMDB.com) proves it to be from the film "La ligne de démarcation" from 1966. 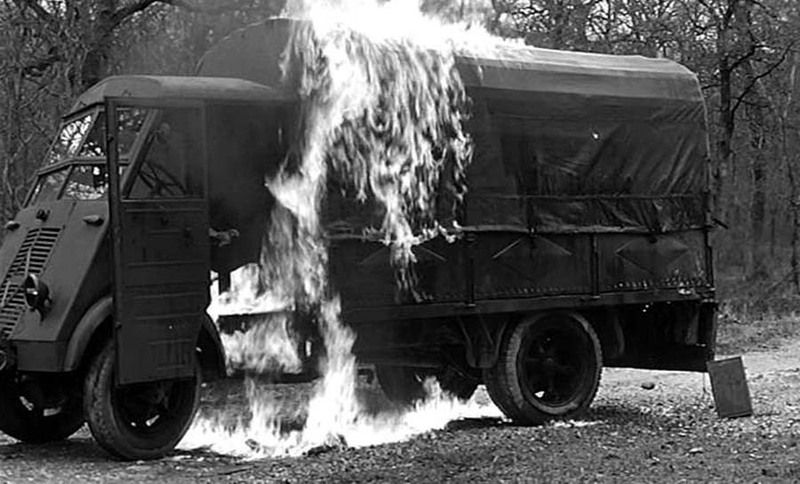 Pitty it was torched when it was already a rare vehicle. As I'm only interrested in vehicle details only 2 pictures are of interrest to me. Pictures are of course property of the movie company that owns the movie. The truck in front of the AHS in the 2nd picture is a Peugeot DK5.